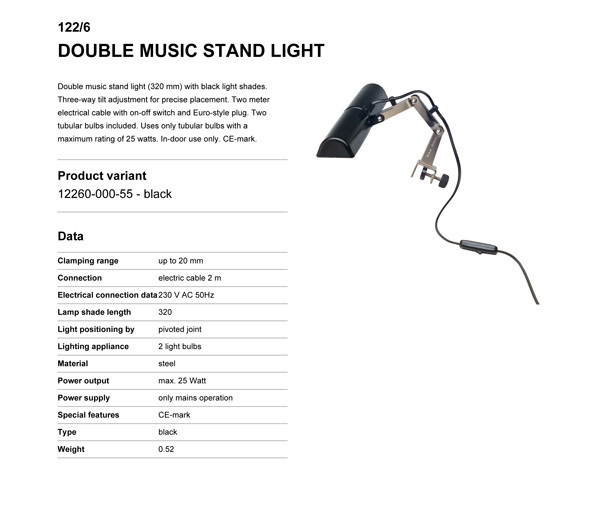 Double music stand light (320 mm) with black light shades. 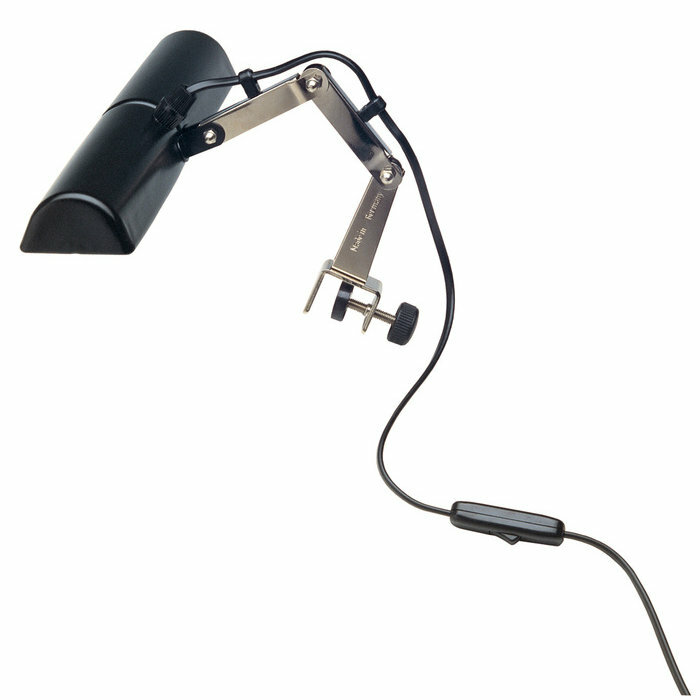 Three-way tilt adjustment for precise placement. Two meter electrical cable with on-off switch and Euro-style plug. Two tubular bulbs included. Uses only tubular bulbs with a maximum rating of 25 watts. In-door use only. CE-mark. Screw-on clamp adjustable up to 20 mm. Wt: 0.5 kg.